Marine Insurance. If it's Greek to vour company you could be in for a big surprise. Understanding insurance-especially marine insurance-is a full-time job. So if you're at the helm of your own company, how can you be expected to keep up with the ins and outs? At Adams & Porter, we know every bend, shoal and snag in the business. 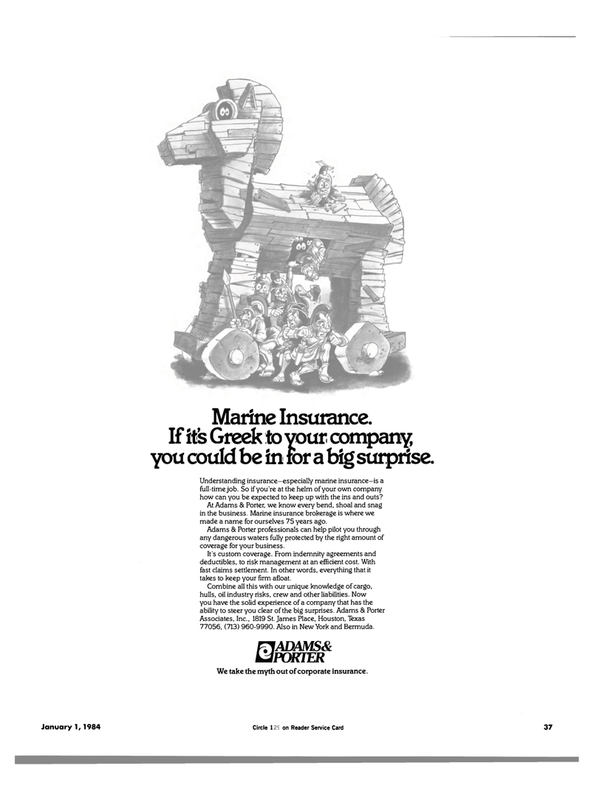 Marine insurance brokerage is where we made a name for ourselves 75 years ago. Adams & Porter professionals can help pilot you through any dangerous waters fully protected by the right amount of coverage for your business. It's custom coverage. From indemnity agreements and deductibles, to risk management at an efficient cost. With fast claims settlement. In other words, everything that it takes to keep your firm afloat.